ForzaFit offers high quality triathlon coaching. Learn how you will benefit by working with an experienced, qualified coach. A personal training plan ensures your goals and needs are the focal point of every session & will continue to evolve as current goals are met and new goals are set. Training plans are developed with your current fitness level and time availability in mind. The focus is on implementing a plan that progresses at your individual rate of adaptation while targeting weaknesses. RosaLaura Saggese Elbooz is USA triathlon, Road Runner CA, Ironman certified coach, AFAA personal trainer & more with over 20 years of experience. 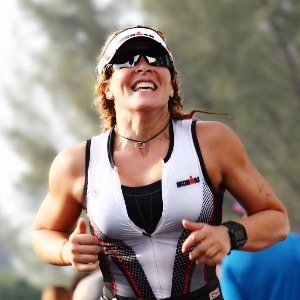 She is one of the top local triathlete as well as a top masters triathlete in the state of FL. RosaLaura has been a USAT All-American as well as achieving top 10 performances at the World Championships. Success. Coach Rosa Laura Saggese Elbooz has been notified of your message.